Give a customized cooking class (participation) for 10 people. Menu, date, and time to be determined. Each participant will receive an embroidered Kitchen Conservatory apron and a chef's hat. 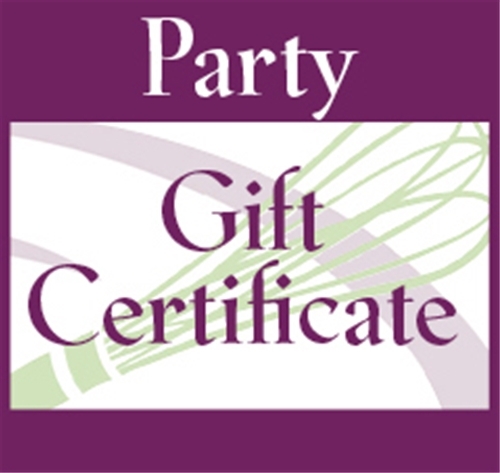 The participation party gift certificate can be printed from your own computer or mailed to any address. If you are printing it from your computer, please log in or create a Kitchen Conservatory account. After completing your order, go to your account to view and print the Gift Certificate!